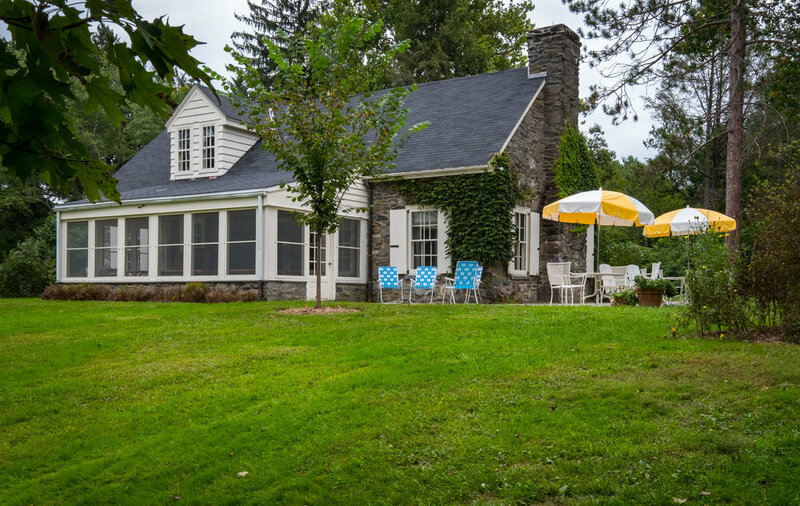 The lovely house, the Stone Cottage, is not where Mrs. Roosevelt lived, it was built for her two friends who assisted her with lots of her philanthropy. Her home when FDR was in town was in the main home and when he was not, it was in the former furniture factory on the property that she started to create employment for local men. When it closed she converted it into her home, office and rooms for some of her staff. Warm and cozy inside it is not the home you would first assume was the First Lady of the United States from outward appearance. This was a revisit for us and the second time to try and get acceptable photos. I think there will be a third because I am not happy with those of her home. Stone Cottage for her two friends.